After some frolicsome fun, Hairy and his friends are ready for a nap but where will they choose to sleep? 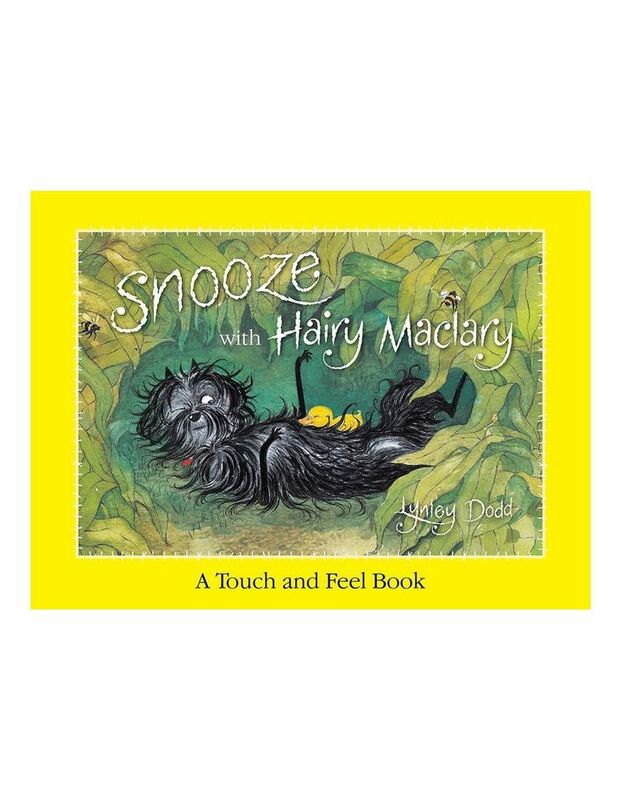 This delightful touch-and-feel tale starring the rascally Hairy Maclary and his friends featuring illustrations from the Hairy Maclary and Friends series, with a new rhyming story told with Dame Lynley Dodd's signature fun and humour. Little readers will love exploring the different textures on each page from Hairy Maclary's shaggy tummy as he snoozes in the shade and Fluffy Mushroom Magee asleep on a window ledge to tree trunks, bricks and picket fence palings.